I support full funding for public education – teachers’ pay and the entire system. We are still $800 million/year below 2008 funding. I propose a non-partisan comprehensive audit of the state’s tax policies. I intend to find every loophole and credit that is not paying a return on investment – those funds can pay for improved education, infrastructure, health care (Maricopa should have a hospital) and reduction of skyrocketing sales taxes. Our economy can and should work for every family. I demand protections be strengthened for our public lands and vital resources. I will fight to make sure future generations have clean air and pure sustained water. We cannot risk our environment for short term profit. I pledge to investigate and stop all forms of unethical practices within state government. We must not allow conflicts of interest that result in elected legislators using their positions of power to profit from tax payer money. We deserve ethical government that is transparent and accountable. I commit to working with teachers, parents, law enforcement and students to find ways to make our schools safer. I will never allow a gun lobby to protect ideology over the safety of our children. 2018 gives us a chance to make some changes. As a Clean Elections Candidate, I owe all my allegiance to you – Arizona’s voters. I’m ready to get to work for you. 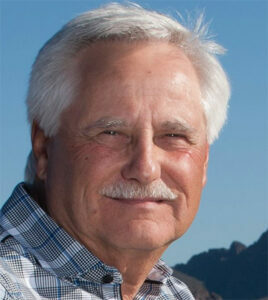 Ralph Atchue is the Democratic nominee for State Senate LD 11.